Thierry Maison is a French clarinettist. He won the gold medal for chamber music from the Toulon Conservatory in 1991 and First Prize in the Concours Général Bellan at Paris in 1989. He was awarded a prize from the Marseille Conservatory in 1994 in Claude Crousier’s class. From 1987 to 1989, Maison studied under Jacques Lancelot in Rouen and Paris. He was bass clarinet soloist with the crews of the Toulon fleet from 2002 to 2010. 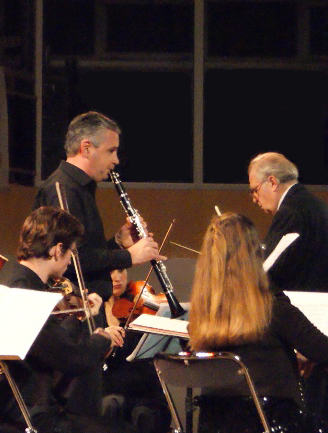 Since 2004, he has taught at the Conservatoire Régional de Toulon Provence Méditerranée. He often takes part in concerts as a soloist, mainly in chamber music formations. In 2005, he joined the Harmonies d’Orphées orchestra, under the direction of Austrian conductor Maximilian Fröschl, which took him to Vienna as a clarinet soloist. Thierry Maison is currently artistic adviser for Steuer. He plays with Classic and Exclusive reeds.